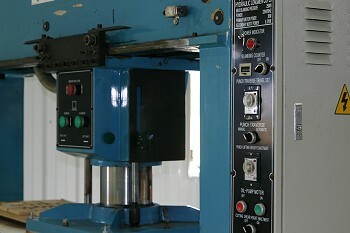 Precision Fab Products, Inc. Foam Manufactured Products ..:: CAPABILITIES ::..
Because of foam’s versatility, it can be fabricated into an almost unlimited number of purposes. Its form equals function. Foam fabrication can be anything from simple foam cutting to precise forming and shaping of different components. Proper fabrication can enhance the comfort, performance and durability of the actual foam product. It can also be used to affect the cost of the foam pieces as well as differentiate your finished product in the marketplace. To understand the true value in different fabrication methods, the processing, performance, and sales features must be analyzed. • Waterjet Cutting – This process uses pressurized water to cut through all types of foam but primarily XLPE and PE and HDPE. It follows a computer generated pattern and can produce complex, precise shapes and cavities very quickly and efficiently. Our heads allow for high yields and tight part nesting. It also has the ability to adjust for process variables, such as operating pressure, material feed, abrasive particle size and flow rate. Waterjet is ideal for difficult converting processes. A huge advantage is that it can cut extremely detailed configurations, very small cavities and also a large number of cavities with ease. Each job is individually set to maximize the material yield, maintain cut quality and highlight the efficiency of the equipment. 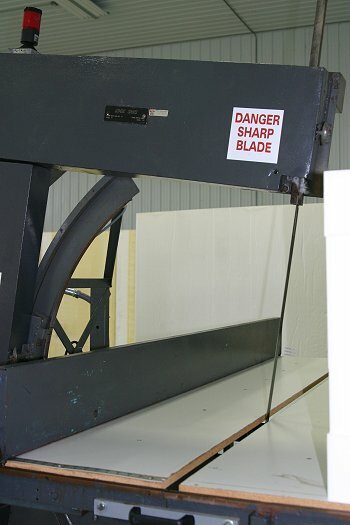 • Die Cutting – This process uses custom shaped steel rules that are stamped through the foam. Typical finished edges that are manufactured are center beveled, scallop, and serrated. Die cutting quickly produces uniform sizes, efficient material usage and lowers overall decrease in manufacturing costs. • Contour Cutting – This method of cutting open cell foams scoops out a cavity from the foam and results in intricate contoured shapes. It cuts a pattern producing a custom foam part. 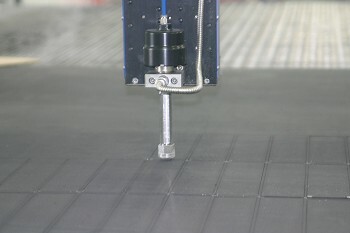 It is a rapid and efficient technique with low tooling costs. • Horizontal Cutting – This process is used to slice or skive both open and closed cell foams. It is designed for high volume production, high level of dimensional accuracy and rapid processing time. It is considered a foundation for fabricating foam products. • Vertical Cutting – This method is used to put angle on parts or cut shapes for finished product. Like horizontal cutting, it is also used for high volume production, high level of dimensional accuracy and rapid processing time. • CNC Routing – This process uses a high speed router that follows AutoCAD drawings to produce complex foam cavities. It is very useful for cuts parts requiring high consistency in size. 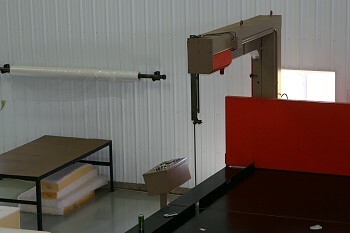 It offers improved dimensional accuracy, increased cutting speed, reduced foam dust and waste, improved foam yield, and improved operator safety. • Gluing and Laminating – This method applies pressure sensitive adhesive transfer to most of our materials. It permanently bonds material to combine various substrates. We use hot-melt adhesive and spray technology.